TICKETS ON SALE FRIDAY, MAY 5 AT NOON! NO Service Fees First Week of Sales!! ALL LAWN TICKETS FOR JUST $20 FIRST DAY OF SALES ONLY! KSHE 94.7 (commonly referred to as “KSHE 95”) will turn the big 50 this year. In doing to it becomes the only continuously operated AOR rock station in existence. 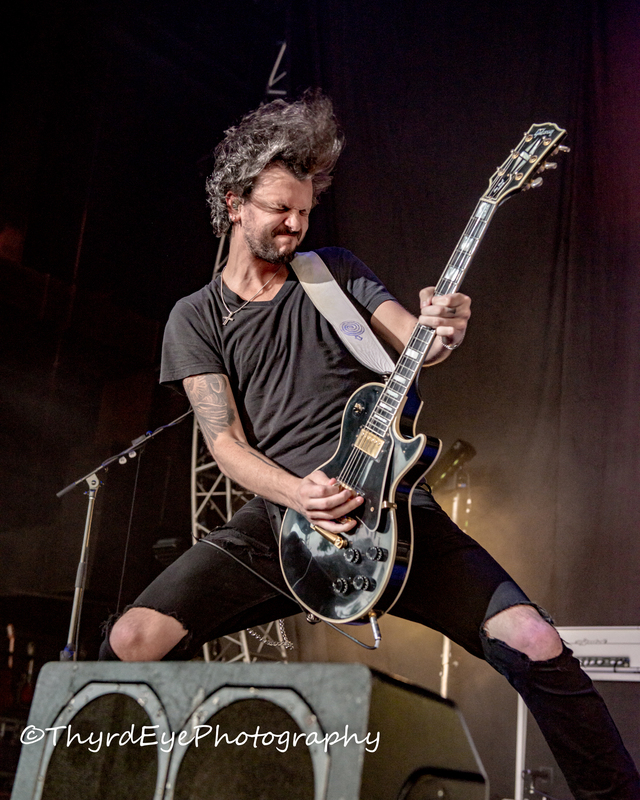 And to celebrate the station is putting on a concert that will feature Saint Louis favorites Sammy Hagar and the Circle, ZZ Top and collective Soul. The concert, slated for September 30 at the Hollywood Casino Amphitheatre, will certainly please many of the station’s loyal listeners. Sammy Hagar has been a staple on KSHE’s airwaves since his days with Montrose and he openly credits the station and the Saint Louis fans for helping to launch his career back in the 1970’s. Fans at his shows often shower the Red Rocker with gifts thrown on stage in the form of hats, t-shirts, banners, bras, posters, scarves, you name it. With a plethora of classic rock songs to choose from (From “Bad Motor Scooter” with Montrose, to solo songs like “I Cant Drive 55”, “There’s Only One Way to Rock”, “Mas Tequila” and that doesn’t even count his time with Van Halen) his concerts in the Gateway City are always a blast. 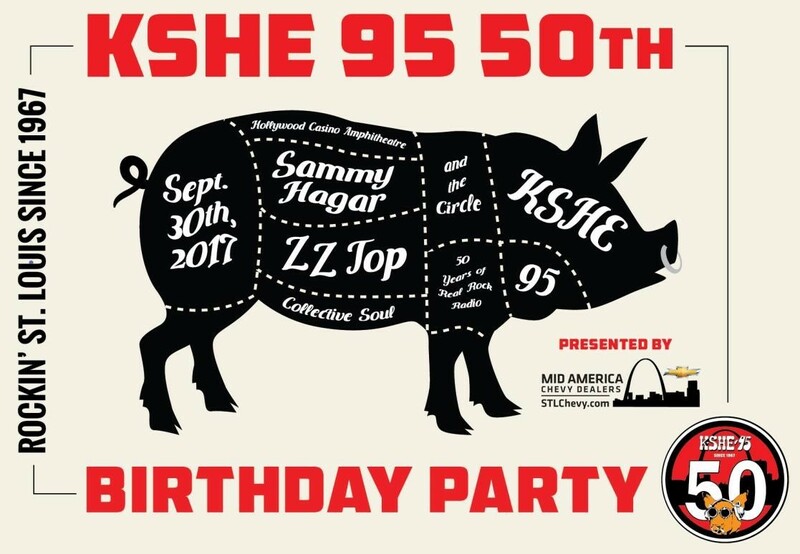 The KSHE 95 birthday blast should be no exception. 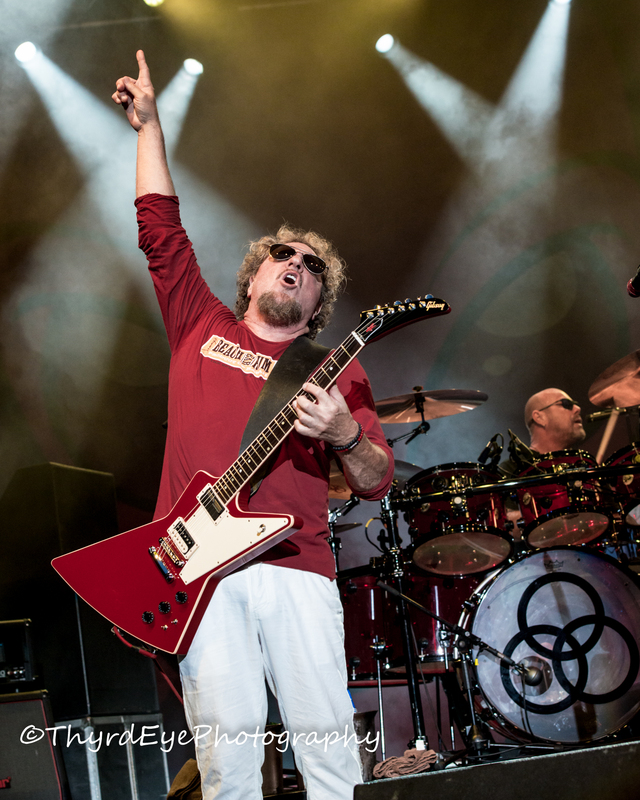 Sammy Hagar and the Circle consist of Sammy (of course), his longtime pal and Van Halen-mate Michael Anthony on bass, long time guitarist Vic Johnson and drummer Jason Bonham (son of legendary drummer John Bonham). 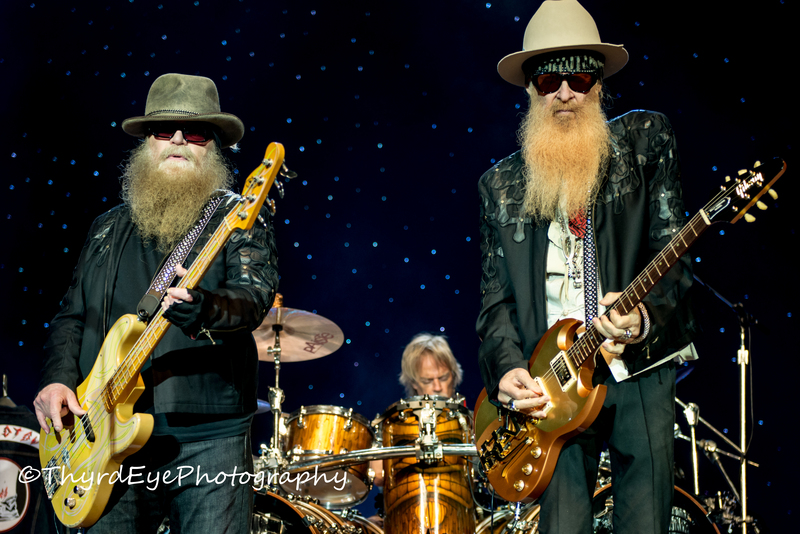 ZZ Top, that Texas rock trio with their signature sound, could easily fill the Amphitheatre on their own, and have done so many, many times in the past, have agreed to play BEFORE Sammy. That is massive respect and mutual friendship that pays dividends to KSHE’s loyal following. 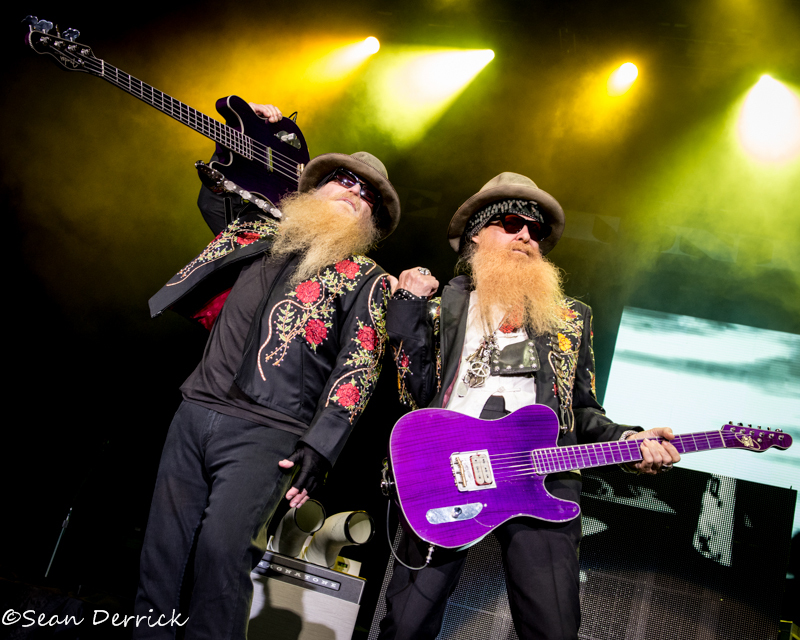 Fans are sure to have a great time rocking out to “Sharp Dressed Man”, “Tush”, “Legs” and “La Grange” among many others. Also on the bill will be another Saint Louis favorite Collective Soul. If you think they are a has been band from the ’90’s think again. With hitslike “Shine”, “December”, “The World I know” and more recently “Better Now” this band consistently proves they are here for the long haul and relevant to current events. As to anyone who witnessed their support performance with Goo Goo Dolls last year can attest, this band rocks live. Sammy Hagar’s son, Andrew, will open the show. Tickets go on sale Friday, May 5 at 12:00 Noon with NO service fees the first week of sales. The show announcement coincides with an announced tour by Sammy Hagar and the Circle with Collective Soul opening. The tour begins September 10 in San Bernardino, CA and wraps up in Saint Louis. ^ Dates with an ^ are participating in the Live Nation Kickoff To Summer Ticket Promotion with a limited-time $20 ticket offer.